I have been drinking Green Smoothies every day for a few years now. I have overcome debilitating illnesses and lost over 56 pounds. Green smoothies really have changed my life. 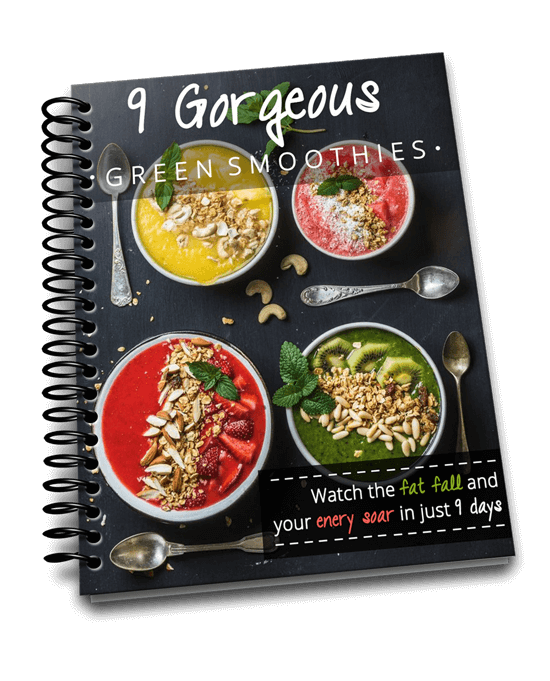 I wanted to create the the ultimate resource for frequently asked questions about green smoothies to help you fall in love with them as I have done so you can enjoy the amazing health benefits that I have had. This is a 10 part Guide to Green smoothies. This is the first part, the general guide to green smoothies. 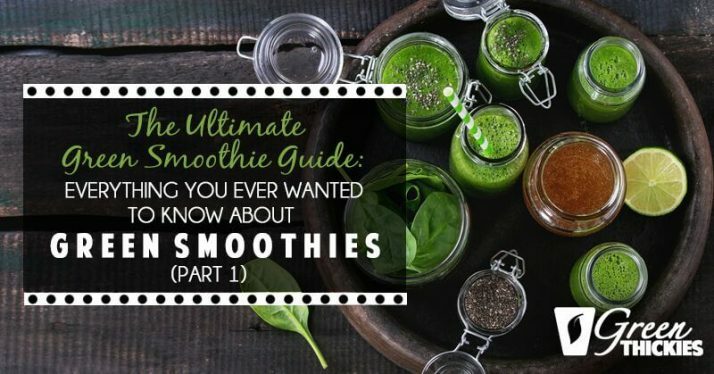 The next 9 posts in this ultimate guide to green smoothies will cover weight loss, diets, recipes, health benefits, who they are suitable for (40 health conditions Green Smoothies can improve) and illness they can help, green smootthies for kids, equipment needed, side effects and green smoothie gurus and further resources. 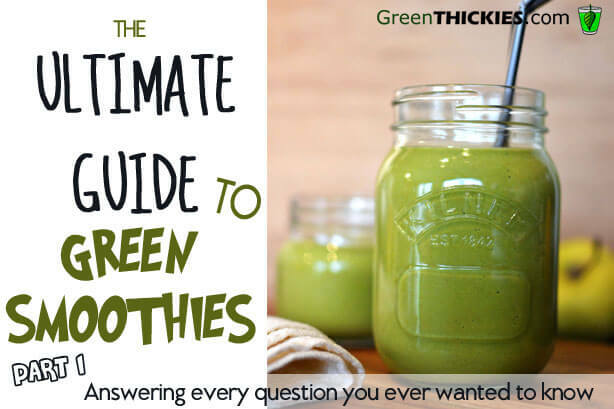 This green smoothie Q&A should help you get all the information you ever needed about green smoothies in one place. As this guide is very long, you can find links underneath to jump to the section you want to read. A Green Smoothie is a smoothie made up of fruits and green leafy vegetables. Most people in the western societies don’t get enough greens in their diet and aren’t able to chew as many as they require as our jaws aren’t powerful enough anymore due to lack of practice. 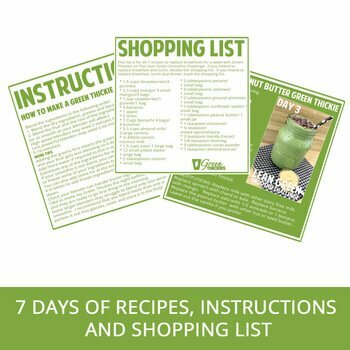 Green Smoothies were invented by Ann Wigmore and made famous by Victoria Boutenko in her book Green Smoothie Revolution (available to buy here) when her family switched to a raw food diet to rid themselves of numerous health problems. The easiest green smoothie in the world. You can use this basic recipe to customize your own green smoothie. This is a snack, not a meal. If you want to turn your green smoothie into a meal replacement shake (Green Thickie) get my recipe by clicking here. What is the Green Smoothie movement? Green Smoothies are not just a passing fad. 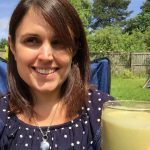 There are so many reasons why people are turning to Green Smoothies, they are quick, healthy, easy to drink, a great way to get your greens and any other foods that blend easily, and they taste lovely. People not only improve their health but lose weight when they switch to green smoothies. As they are also so quick to make, this is the perfect combination for a healthy habit that actually lasts the test of time. 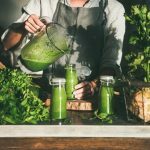 People are turning to Green Smoothies in their droves, and not only are they loving Green Smoothies, they are embracing and continuing with this healthy daily habit. What is the Green Smoothie power? Green Smoothies have the power to heal, the power to sustain you, provide your nutrients, help you lose weight, reduce your cravings and give you massive amounts of energy. This is such a powerful clean drink that doesn’t cost the earth. There is so much power in a Green Smoothie. What are the Green Smoothie ingredients? Green Smoothies contain a liquid such as water, milk (I use this dairy free milk), coconut water, or fruit juice. Then a fruit is added such as bananas, mangos, strawberry, pears or pineapple. Then the desired amount of greens are added such as spinach or kale. What is the Green Smoothie mix? The ideal ratio of Green Smoothie ingredients is about 60% or more fruits and 40% or less green leafy vegetables. The best thing about a Green Smoothie is you can literally add anything to them. The only rules are they contain greens and liquids. The rest of the ingredients you can add as you please. The original recipes contain fruits as they mask the taste of the greens and make them more palatable. However once you get used to more and more greens in your smoothies, you can add less fruit and more vegetables if you desire. Many people also add superfoods and protein powders to their smoothies. Green Thickies are Green Smoothies containing fruit, greens, fillers (for example Rolled Oats) and seeds/nuts. These are filling green smoothies that keep you going until your next meal. There are 20 different fillers so they are suitable for all special diets. It depends who you ask. Perfect ingredients for a basic Green Smoothie would be bananas, strawberries, spinach and blended with some water. To make this more creamy and filling, throw in a filler (e.g. Rolled Oats) and seeds or nuts. Many people are obsessed with getting enough protein and are worried they aren’t getting enough protein in their green smoothie so want to add more. My personal opinion is that we should get our protein from real food and not processed protein powder. However I understand many men especially want to bulk up and adding more protein to their smoothies is seen as a way to achieve this. If you were inclined to add protein powder to your diet, the best type is a vegan protein powder, such as a rice protein powder (you can buy raw organic rice protein powder here). However, it depends how many people you are feeding or whatever was in season or reasonably priced where you live. I am making at least 1 Green Thickie per day for 2.5 people (the .5 being my baby). If I have ingredients left over I’ll make more Green Thickies and store them for lunch or just eat the fruit raw or make kale chips with the kale. I live in the UK so we don’t have access to the same variety of greens or fruit as the USA, so feel free to adjust your own shopping list accordingly. The best vegetables for green smoothies are dark leafy greens as these are the vegetables we struggle to eat the most of and they are the best for us. You can put other vegetables in the blender too but ensure you have enough creamy fruit to balance out the fibrous textures. Spinach, lettuce, parsley, kale, chard, basil, cilantro, bok choy, celery, and cucumber are all great in green smoothies. The darker the leaf the better it is for you. You can also add beet tops, celery leaves and strawberry leaves in to your green smoothie. 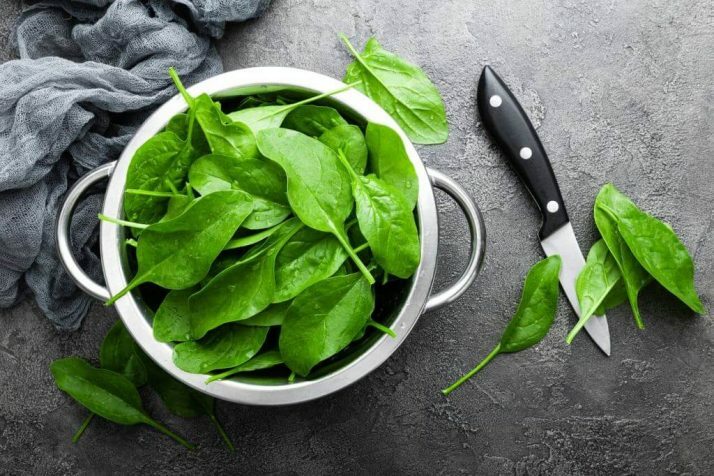 If you are looking for a mild green, the best green to start with is spinach as you can easily hide the taste with sweet fruit. You can include herbs to make the green smoothie taste very fresh. I personally love herbs in my green smoothies. 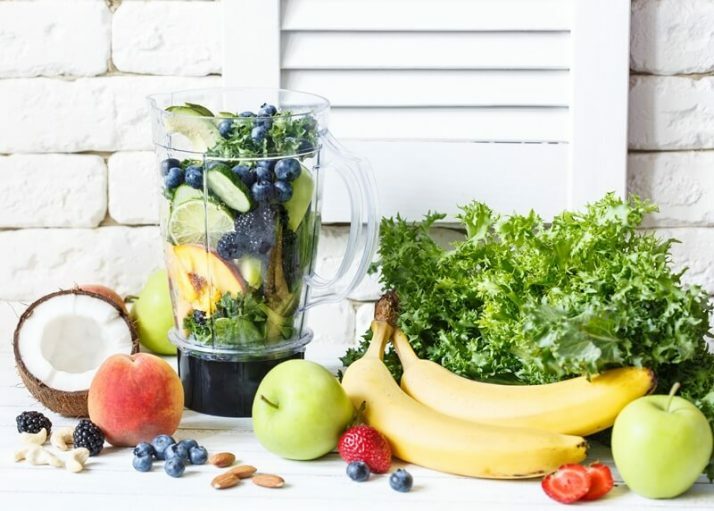 The best fruit for green smoothies are fruit with more soluable fibre as it blends more easily and makes the smoothie creamier, sweeter and hides the taste of the greens more. The best fruit to use are banana and mango as these are the sweetest and will make your smoothie creamy. You can combine either mango or banana with any different types of fruits such as peaches, pineapples, strawberries or other berries, pears, kiwi, oranges, papaya, grapes etc. The worst fruit to blend on it’s own is an apple as it has a high amount of insoluble fibre so it doesn’t blend very easily or mask bitter tastes. Can you use frozen spinach in a green smoothie/ Green smoothies frozen spinach? I have been adding frozen spinach to my green smoothies and green thickies for years and know of other people who have done it a lot longer. However on many frozen vegetables there is a warning telling you not to eat them raw. This is because they haven’t followed the same safety guidelines as they do for frozen fruit as they expect people to cook their greens and eat their fruit raw. Once the greens are cooked they are much safer to use. Some people reason that if you consume your greens raw, the benefits they provide for your body (and ability of your body to fight off infections) outweighs the risks of eating raw frozen greens. Can you freeze greens for green smoothies? Yes you can freeze any of your greens for use in green smoothies. It will be better to freeze them in portions that you are going to drop straight in your smoothie as you won’t easily be able to separate the greens once they are frozen. It is better to chop your greens before freezing them in small portions as your blender won’t be able to cope with a large batch of frozen greens. You may even have to defrost your greens for a while before use if your blender isn’t very powerful. Can I add protein to my green smoothie? Yes, you can add whatever you like to your smoothie. You can add protein powder (see above for my views on this) or you can add other types of food that contain more protein such as nuts, seeds, quinoa, grains such as oats, sprouted seeds or beans, or other dairy free forms of protein. Bear in mind that greens contain a high level of protein per gram, you just need to eat more of it to get the same amount of protein. I prefer to get my protein as part of a whole food as that is the way it is designed to be consumed. I prefer not to separate my foods. So I add nuts and seeds to my smoothies to turn them into a complete meal. I also add oats to get enough carbs to fill me up until my next meal. (Green Thickies). How to make a good green smoothie? If you don’t like the taste of greens, be sure to include more fruit than greens and ensure you have some more creamy fruits in your smoothie such as banana, mango or peaches if you like a creamy smoothie. It depends what type of blender you have. If you have a high powered blender, add all the ingredients at the same time. If you have a lower powered blender add the liquids first followed by the fruit and then the greens. You may have to add the items in stages and use the pulse button to really get the greens blended up. Kale is easier to blend than spinach and bananas, mangos and peaches are easier to blend than berries, apples and grapes. 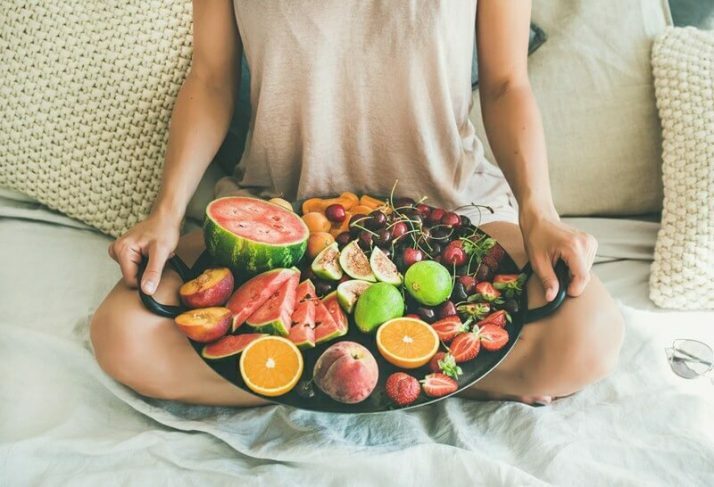 It depends what diet you are on and what foods you are avoiding, but if you generally just stick to water, fruit and greens that is the healthiest combination. However it might not fill you up for long, so make your green smoothie into a green thickie by adding in healthy oats and seeds. Include 60% or more fruits in your smoothie and keep tasting it as you add more ingredients. Ensure you add some of the creamy fruits (banana, mango and peaches) and then you can add in any other combination of fruits as well. Stick to mild greens such spinach or kale and your smoothie should taste lovely. If you include over 60% of fruit in your smoothie it should taste sweet of the fruit, but if it’s not sweet enough for your liking add some dried fruits such as dates or raisins. Certain fruits such as watermelon or strawberries will mix with the colour of the greens and turn your smoothie brown. It will still taste fine. If you can’t stand the colour you could always add some dark berries to turn it purple or some beetroot to turn it pinker. Ensure you add foods in the following order, liquids, fruit and greens. If you don’t have a high powered blender you may need to blend it for much longer, 5-10 minutes or just before it goes warm. It will be a little bit chunky with a regular blender but if you really can’t stand it chunky, try a mango, banana or peach with kale smoothie. These won’t go as chunky and if you only add as much liquid as you need to cover the fruit to start with, blend that with the greens then once that is smooth, blend the rest of the liquids. Providing you follow the above advice or follow a popular recipe, your green smoothie should taste lovely. It will taste of fruit so you have to like the taste of fruit. However if you follow the recipes for some dessert thickies they will taste like popular desserts that you will already love. If you don’t have a sweet tooth you could make a savoury green smoothie with just vegetables (Tomato, Cucumber, avocado, basil, celery). What do green smoothies taste like? If you make them for the first time with minimal greens (a small handful per portion) they will just taste of fruit. When you get used to the taste you can add more and more greens to your smoothie. If I’ve added a lot of greens I can taste the greens with the first initial taste and then the taste of greens fades and I can only taste fruit after that. It depends what you put in them. Personally I never found a combination of just water, fruit and greens that would fill me up for longer than a couple of hours. That’s why I invented Green Thickies which include oats and seeds or nuts as they are so much more filling as they contain healthy carbs and you still get the same amount of fruit and veg per smoothie. Green Thickies can fill you up from one meal to the next. You can also just add more oats if you are burning more energy. Are green smoothies high in calories? Not really but it depends what you put in them. A classic green smoothie with just water greens and fruit would usually contain between 100-300 calories but it depends on the size of the portion too. A Green Thickie is usually between 300-500 calories which is a good filling but complete healthy meal. Is a green smoothie enough for breakfast? Some people can get by on just one green smoothie for breakfast. I personally couldn’t and would have to drink one after another all morning. A Green Thickie will definitely fill you up until lunch time as you can add in the correct amount of oats to sustain you all morning. What to eat with green smoothie? It is better to eat a green smoothie on an empty stomach or after fruit only. As fruit digests faster than most foods it should be eaten first. After your green smoothie you can eat whatever you like. I used to eat a bowl of porridge after my green smoothie when I had more time, but now I have a Green Thickie which combines the 2 together for the perfect fast filling healthy breakfast. Can green smoothies be stored/ green smoothie storage/ how long can a green smoothie last/ how long do green smoothies last in the fridge? Green smoothie can be stored either in the fridge or freezer. They should last up to 3 days in the fridge and up to 3 months in the freezer. It is better to drink them sooner after eating for maximum nutrition and taste. As soon as fruit and vegetables are blended they oxidise and they start to lose a lot of their nutrition so drink them as soon as you can. Can you freeze a green smoothie? Yes. It preserves more nutrients to freeze a green smoothie than to store it in the fridge. Yes extremely healthy. 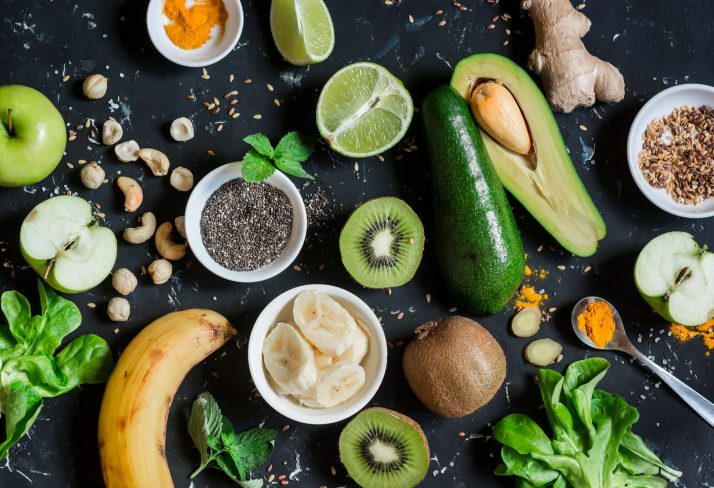 It is hard to find a healthier food than a green smoothie as it contains the three most important ingredients for complete health, water, fruits and greens. So you can see that green smoothies have enough calories for a very light meal or snack. They are very low in fat (providing you don’t add any), no saturated fat or cholesterol which is perfect for health. The sodium is very low which is also perfectly balanced and from the right source for great health, no refined sugars, enough protein for good health (some claim we are advised to eat more protein than we actually need) and an abundance of vitamin C which is great for the immune system. This shows that if all we drank was this particular green smoothie all day, we would get just under the recommended amount of calcium for our bodies, however we do need some healthy fats in our diet such as nuts, seeds, avocados or coconut. If we consume these or add them to a green smoothie we will increase the amount of calcium we drink. You could also add more greens to increase your calcium. Studies have shown that the body absorbs the calcium from greens a lot more easily than from cows milk. By just drinking this one green smoothie, you’ve consumed almost half the daily recommended amount of fibre. It’s fine to go over the RDA for fibre but your body might need to get used to it slowly. Fruit and greens are the best source of fibre and green smoothies first thing in the morning will really help your digestion. How much protein is in a green smoothie? Again it depends what you put in it. If you followed the recipe above, it is 5g, about 11% of your daily protein recommendation. But if you added half a cup of oats (made it into a green thickie) your protein goes up to 11g which is 21% RDA. If you also add 1 tablespoon of pumpkin seeds to your smoothie your protein goes up to 13g and your RDA goes up to 27%. So if you drank only 3 green thickies per day you would meet the RDA for protein for a 2000 calorie diet. Is a green smoothie raw? A basic original green smoothie is raw as it only contains raw fruit and raw greens with water. However you can add other ingredients to it which may not be raw. You can make a green thickie raw if you use raw oat groats. How long does it take to digest a green smoothie? All fruit and veg digests at different rates but your green smoothie will digest at the rate of the slowest digesting ingredient. Water is digested immediately followed by fruit and vegetables which are generally digested within 40 minutes. If you added oats and nuts or seeds it may take up to 3 hours to digest. However this assumes you are only drinking green smoothies in your entire diet. A green smoothie cannot be digested before other foods you have eaten recently. For example red meat can take 3 days to digest. So if you eat certain meat then drink a green smoothie the next day, you may experience gas and bloating as the fruit is fermenting in your body rather than passing straight through. Vegetable and raw fruit juices are digested much more quickly as there is no fibre to slow the body down. Therefore the benefits of juicing are that the nutrients are more easily absorbed into the body as the body doesn’t have to work hard to digest the juice. This can be beneficial for people with health problems or weak digestion who struggle to absorb their nutrients. Juicing is a good way to recover from disease. 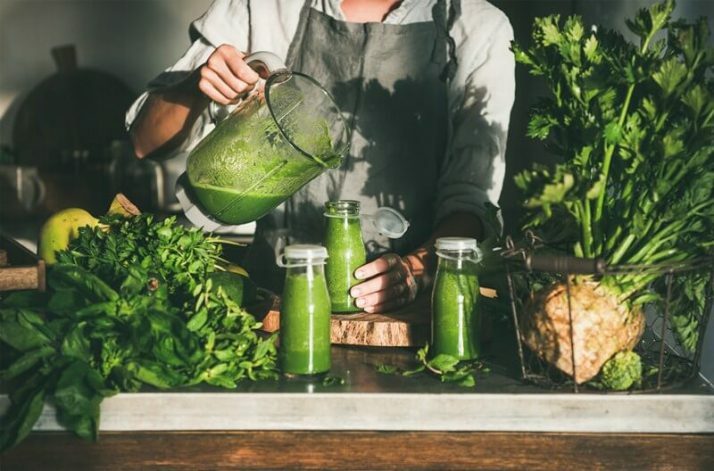 However the benefits of green smoothies over juices are that the food is in it’s whole form including the fibre which is absolutely essential for health. So a green smoothie is more of a snack or a meal, but a green juice is more of a boost to health along side regular healthy meals. What is green smoothie juice? If you don’t have a juicer and you want to make green juice, you blend your green smoothie as normal and then strain it through a cheese cloth or using a nut milk bag. This won’t be as nutritious as a juice made with a juicer as no water is added to that juice. When is the best time to drink a green smoothie? Is a green smoothie a meal replacer/ Green Smoothie meal replacement/ green smoothies for meals/ Is a green smoothie a meal? Yes a green smoothie can definitely be a meal in itself, but it’s either going to be a meal very low in calories and you’ll have to make up your calories with other meals, or if you want it to fill you up you’ll either have to make it a lot larger, maybe have 2 pints of it instead of 1, or you’ll need to add in more filling ingredients than just fruit and vegetables. I personally don’t drink them as a meal as I prefer Green Thickies which are filling green smoothies made with oats and seeds or nuts. I only have to drink one green thickie which I find quicker than having to drink 2 green smoothies. Should I drink a green smoothie every day? Yes! 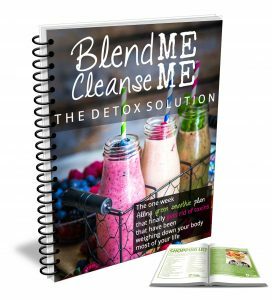 Thousands of testimonials from people all over the world tell us that by drinking just one green smoothie every day, you will notice amazing changes in your health. It may just be one drink but you will find yourself craving less junk and very slowly you’ll be wanting to eat more healthy food for all your meals. I personally feel totally different on days where I haven’t drank a green smoothie. I feel much more tired and crave more junk food. My usual energy is completely gone without a green smoothie. Should I drink a green smoothie every morning? I think morning is the best time to drink a green smoothie as you have more of an empty stomach so the green smoothie will digest faster, your body will absorb more of the nutrients and cause you less digestive upset. If you drink a green smoothie every day it will soon become a habit and that will be the only way you’ll want to start your day. You can choose to also drink your green smoothie for lunch as well as breakfast. I would only advise drinking a green smoothie for lunch if you’ve only had fruit or vegetables for breakfast as it won’t be absorbed as easily. Yes, drink green smoothies whenever you feel like it, your digestion may cope with drinking green smoothies after more heavier meals throughout the day but if you do have digestive issues then it might be better to go back to mornings instead. Can I drink green smoothies at night? I sometimes drink green smoothies at night as a snack if I feel a bit hungry a few hours after my dinner. Even though this isn’t the ideal time to drink them, if it’s a choice between a green smoothie or something more unhealthy then I would definitely go with a green smoothie every time. Yes this is a great time to drink a green smoothie as your body will need to fuel up with water, sodium in the greens and the nutrients and calories in the fruit. A green thickie is also perfect for after workouts if you are really hungry as it’s so filling. Can I live on green smoothies? Although a green smoothie is one of the healthiest foods we can eat, it may not be such a good idea to live on them permanently. Our jaws need the exercise of chewing and our stomachs need to be able to recognise larger chunks of food. It may be really good for your health to go on a green smoothie detox for a period of time to give your body a rest from digestion so it can heal itself of health problems, but when your body is restored to full health it might be better to go back to eating foods in their natural state more often such as whole fruit and chewing your greens. It’s also nice to be able to taste individual foods and feel texture in your mouth. If you just drink liquids you’ll really start craving different fruits. I went on a raw food diet for 6 months for healing and mainly drank green smoothies for breakfast and lunch then a big fruit salad for dinner and other fruit, seeds and nuts for snacks. Can you drink too much green smoothie? You can do too much of anything, even healthy things. If you drank so much green smoothie that you were consuming more calories than your body needed then that would be drinking too much green smoothie. As your diet gets cleaner and cleaner you will notice you don’t need as many calories to fill you up and maintain your weight as your body will be getting all the nutrient it needs. As green smoothies contain so much fibre, hopefully you’ll start going a lot more frequently and they should relieve your constipation. However if you have poor digestion or if you’ve consumed some heavy food or highly processed food before the green smoothie (even sometimes 3 days earlier) you may have digestive issues such as diarrhoea after drinking them. It may take years of clean eating, detoxing or water fasting before you improve your digestion if it’s really bad. My poop is green after drinking a green smoothie! Poop will normally be the colour the food that we eat. We only think it’s normal to have brown poops as most of the food we eat is brown. If you started eating loads of beetroot you would notice red poops. So it’s natural to have green coloured poops if you are consuming a large amount of green food. If you baby is consuming a large amount of green food and are healthy, that’s probably the reason. Some health professionals are aware of this but some have never come across this problem before as most people simply don’t eat enough greens if any at all! It’s also rare for baby’s to eat so much green foods as baby’s can find the taste of greens very bitter. However if they are drinking green smoothies, this is perfectly normal. Here’s an interesting fact for you. When I was breastfeeding my baby, (before she started eating solid foods herself) her poops would actually come out green after I had been drinking green smoothies. I put this to the test and on days when I didn’t eat anything green (not very often) these were the only days she didn’t have at least one green poop a day. I also gave one of my green thickies to a friend who was breastfeeding too. She didn’t normally eat so much spinach and her baby always had brown poop. The very next day her baby had a green poop for the first and only time. Is that enough talk about poop for one day? It’s funny when you first have a baby, for some reason it becomes the most fascinating subject of conversation. I can tell which foods are better for my baby just by what her nappies look like the next day. Anyway, it’s a good indicator of general health so it’s good to monitor it after you start eating more healthily. Thank you. Some Mums may still prefer to get it checked out just in case as I did the first time it happened but it happened so consistently after the green smoothies that I was sure it was that, and she was fine and healthy too so I didn’t have any reason to worry. When I first found your site a few months ago I was skeptical. Up till now, I’ve been pretty much a “green smoothie purist” – not adding anything to green smoothies besides fruits and greens, and maybe sometimes some nuts or nondairy milk (I read 80/10/10 too, as well as Green for Life, etc). I’ve never thought of adding oats to smoothies, but you convinced me, especially as far as smoothies for my very active 8-year-old who definitely needs to be getting more calories. Right now I give him a smoothie in the morning followed by a bowl of cereal. I’m definitely going to experiment with different grains and nuts in his smoothies. I’m also intrigued by smoothies with beans. Do you add beans to fruit smoothies or do you make savory smoothies? (I could not find any recipes on your site). I don’t use protein poweders anymore, only milk and I have better results. That’s great you have better results without the protein powders. That’s very encouraging to hear. Thanks for sharing that. Drinking a green smoothie is the best thing you can do to lose weight. Green smoothies are easy to make, and quick to clean up after. Green smoothies will keep you hydrated. Although one should drink at least eight glasses of water a day, experts believe most people don’t drink even half that amount. Yes I totally agree. I don’t know why everyone doesn’t have them for breakfast as they’re just so good for us in so many ways. Water is also extremely essential too. Thank you so much for putting all this info in one place! I quickly found the answer I was looking for!!! That’s great you’ve made such a healthy life change. 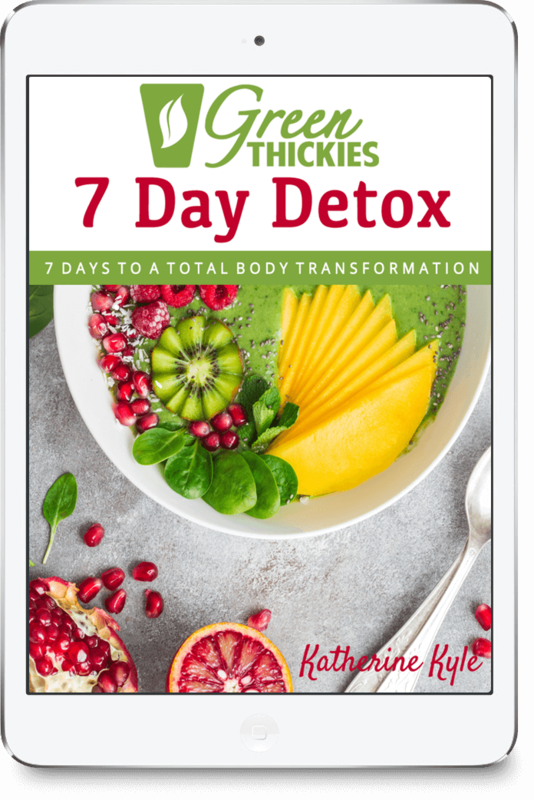 Detoxing is never complete as we’re always permanently taking in toxins. We just have to do the best we can to minimise the amount of toxins we take in, but I would definitely follow the advice of your doctor when it comes to your medication. Wow that sounds like such a healthy drink! Wow! Like any food some people think it’s a healthy choice and others don’t agree. You just have to do what you feel is right. I think it’s a healthy choice and that’s why I choose to do it every day but some people do react to different foods in different ways so you just have to listen to your own body and try and vary your ingredients. Most food is contaminated in different ways and we don’t know exactly what’s happened to our foods which is why it’s good to get a variety to avoid any build ups up pesticides etc. Hey, I was wondering.. I was at a naturopath recently, and she said I shouldn’t drink a greensmoothie because of the sugar content, the fruit contains, and since I’ll be drinking the the sugary content, my body won’t get ready for the sugary content to get down to my food as it would with when I’m chewing on fruit. So I dunno what to do?? Hi, I believe that the sugar in fruit is healthy and exactly designed for our bodies needs but others disagree. Some people can’t handle so much fruit so you just have to listen to your body. I always advise people to ‘chew’ their smoothies as they would any food. I know it’s a drink and it doesn’t need chewing but the saliva stimulates your stomach acids to prepare itself for the food that’s about to arrive. I made my green smoothie twice a day. The greens include parsley, kale, collard greens, and spinach. I blanch then for about 6 to 10 minutes and cool down just to be sure to kill pathogens. My fruits include pear, tomato, raisins, and garlic. I prepare the garlic bulb just to make it soft in the microwave for less than a minute. All these I blend and liquify and will yield about 3 to 4 cups of green smoothie. It is so good… I think dates will also substitute the raisins for sweetness. Just the right amount to fill me up. My question is right after I have finish drinking the three cups or more, I feel really very sleepy. I could take a short nap or when it is on the weekend I could just sleep very soundly. Is detox effect include the urge to sleep? or… Is it a good effect to feel sleepy after drinking the green smoothie? Since I have been drinking this smoothie I feel wonderful and energized. Hi Neese. Your smoothie sounds really healthy! That’s not so good it is making you feel sleepy. Yes it could be detox or it could be a reaction to some of the ingredients if you’re not used to using them. I would keep trying them for a couple of weeks and if the sleepiness hasn’t gone away I would stop them for a couple of days and experiment to see what works for you. I’m glad they’ve given you so much energy though. Hey Katherine, great post! Lot of useful info .. Yes you can mix your spinach kale and celery but celery can have a strong taste so it might overpower all your recipes. You don’t need to cook them, just wash them, blend them with water and freeze them. Some people do like to cook them but I don’t do this. I started drinking smoothies a few weeks ago. I mix kale, celery, spinach, frozen soy beans, parsley, ground flax seed. For sweetener, I add either grapes, blueberries, strawberries, apples or oranges. I have developed a bitter taste in my mouth. Can using kale daily be causing this effect? I bought the Nutribullet and it has worked out really well for us, very easy to use and clean. Plus, it is $120. You might consider putting an amazon link to it on your site. Thanks for your info. Thanks for mentioning this! I have a Ninja and it just doesn’t do the trick for smoothies. I did some research after I saw you do this and found this video which actually side by side compares the Ninja with the Nutribullet for anyone else looking! I quite enjoy my Green Smoothie at home before I leave for work. At 3 o’clock I would simply love a pick me up & fill me up of a smoothie. Concentrations of oxalic acid are pretty low in most plants and plant-based foods, but there’s enough in spinach, chard and beet greens to interfere with the absorption of the calcium these plants also contain. Take it from me, I was drinking a green smoothie made of combinations of spinach, chard, beet greens, berries, etc. almost daily over the last 3 years, and eventually I started experiencing severe leg cramping. Over time I figured out I had a Calcium deficiency even though I was ingesting sufficient Calcium on a daily basis. I would definitely not be giving raw spinach, chard, or beet greens to my infant / child on a regular basis. I now use kale or bok choy instead of spinach or chard when I eat raw greens. I also cook any spinach I eat which greatly reduces the oxalic acid. I’ve just started today, and am looking forward to the higher energy level and health approach to weight loss. I commute to work 90 minutes each way and this has affected both the weight and energy. By the time I get home at night, all the plans I had to work out, cook healthy, etc don’t happen because I’m too tired. Thank you for all the information – I don’t have a lot of willpower when it comes to strict dieting so using the Thickies as breakfast and lunch will make it easier to get both in, and I spend less money buying lunch at work! I was eating Oatmeal every day so the switch to putting it in the Green Thickie was pretty easy for me. I hope to be logging back in and talking about how well I am doing. Thank you for all the info and for giving me a light at the end of the tunnel in this!! We should avoid whey protein and use rice protein. I’d like to try some oats in my smoothies to make a thickie… what do you buy? Is there a brand you like? Great article with a lot of valid info. I thought it might help if I suggest something. Although smoothies are liquid, it helps to chew before swallowing. This not only stimulates the musculature of the jaw but also produces saliva which helps with further digestion. Very nice guide, with a lot of useful information. Do you know if you should cook broccoli first before using it in your green smoothie? I know you should with green beans because of the toxic substance phaseolin. But i’m not sure about broccoli. I especially liked the way you explained the baby’s green poop. I did panic the first time it happened to me! Ha ha. It’s such a strange thing isn’t it? Thanks for your compliments Azarko. I add Vega protein powder or plant fusion to my green smoothies and that completely fills me up for hours.